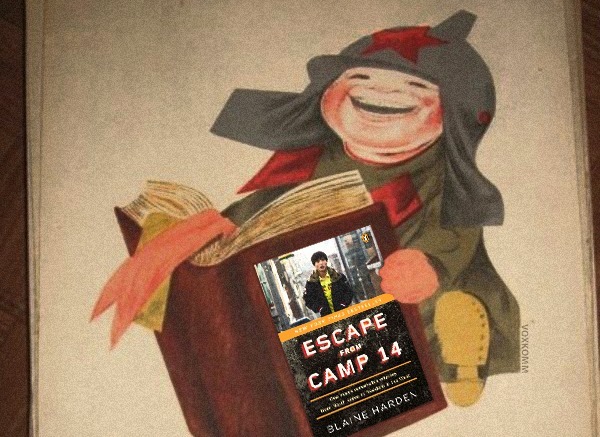 Shin Dong-hyuk has recently come out admitting that statements he gave which were used in his biography ‘Escape from Camp 14’, which tells the story of him being born and raised in a North Korean prison camp until he escaped, were lies. While he still stands firm that his overall story is true, he has admitted that many parts of his story are false and need updating. Shin Dong-hyuk is one of the most well-known ‘defectors’ from the DPRK and the leading witness in the current UN report on North Korea’s human rights. He has spent his years giving interviews that formed the basis of his biography, shaking hands with leaders such as George W. Bush and David Cameron, teaming up with the Bush Institute (a conservative think tank based around George W. Bush and his family), and being honoured and praised by the pro-imperialist NGO Amnesty International. Shin Dong-hyuk claimed that he was born into a North Korean prison and lived there until he escaped and fled the country. He talks about all kinds of horrors from members of his family being executed, starvation, and heavy work in a prison called Camp 14. His new version of events changes his original story very drastically. In his new story he includes two prison camps, not just ‘Camp 14’ (the name of his book) but also ‘Camp 18’. The new version of his story also includes him escaping the camp twice before. While he had originally claimed that he was tortured when he was 13, the new version of his story now says it happened at the age of 20. 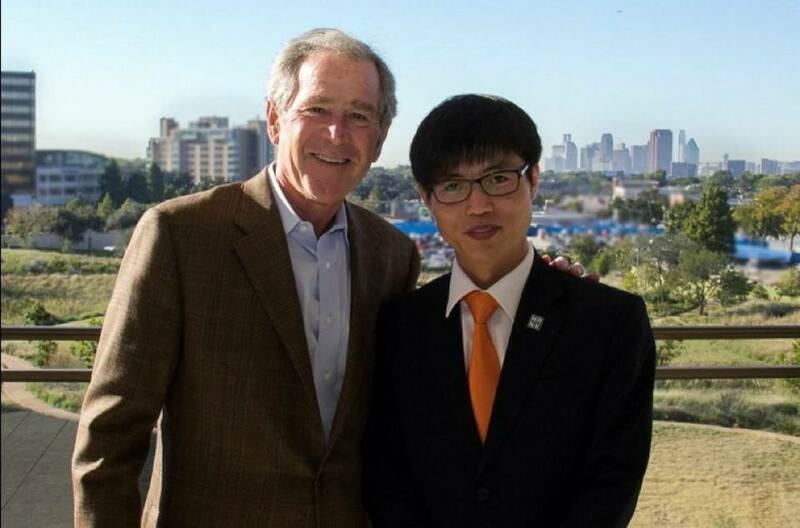 Finally, his father came out saying that Shin had never lived in a political prison camp and his testimony is false. “In writing this book, I have sometimes struggled to trust him. He misled me in our first interview about his role in the death of his mother, and he continued to do so in more than a dozen interviews. When he changed his story, I became worried about what else he might have made up. Many citizens of DPRK emigrate out of the country to find work and education abroad, from logging operations in Russia, textiles factories in Mongolia, to work in Japan and China, and even university placements in the UK. But ordinary people who emigrate out of the DPRK who don’t tell such incredible stories, usually don’t get best selling book deals, don’t become celebrities, and certainly don’t make money from prancing to a photo-shoot with reactionary heads of states and selling themselves out to every free market think tank that shamelessly hides behind the label of a human rights organisation. The Nayirah testimony. Imperialist countries such as the USA and Israel are not above killing hundreds of thousands of innocent people to secure their own greed, so it is a mistake to believe that they are above the most dirty lies. One of the worst examples of this is the “Nayirah testimony” where in October 1990, a young girl who only gave her first name Nayirah, gave testimony that she had witnessed Iraqi soldiers killing premature babies by stealing their incubators and letting the babies die on the floor, that Iraqi soldiers had tortured a friend of hers, and were making fun of George W Bush. Her speech was so powerful that it became a media poster to support an invasion of Iraq. It was later revealed that her second name was al-Sabah, and that she was the daughter of the Kuwait ambassador to the USA (Kuwait being the country that Iraqi soldiers supposedly committed these crimes according to Nayirah), and both worked for an organisation called “Citizens for a free Kuwait” which was an operation established by the Kuwait government to sway public opinion in the USA towards a US invasion of Iraq. Then the cherry on this whole grizzly sundae is that the Citizens for a free Kuwait, was hiring the business of public relations corporation Hill and Knowlton, that worked to spreading her testimony all over USA television news networks. By now everybody was doubting her testimony but it was to late. The Gulf War had already started and thousands were to perish in the upcoming months. As much as any story may appeal to your emotions, there are many terrible people out there who aren’t bothered by the consequences of lying for personal gain. As imperialism is once again driving towards war on all fronts, the left should be wary of the propaganda intended to dehumanise its enemies. We must expose their lies and not give one inch to their sabre-rattling. Always be prepared to be wrong. Never abandon our solidarity with anti-imperialist comrades overseas.